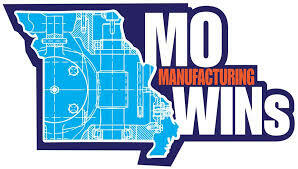 Missouri Manufacturing Workforce Innovation Networks (MoManufacturingWINs) received a $14,969,910 Round Two grant award to meet the State’s growing demand for manufacturing related workers. At every college, partnerships with local employers were undeniably strengthened by the initiative and will sustain long after the grant is over. Strengthen online and technology-enabled learning. Through new articulation agreements with four-year univer¬sities, participants could take their education even further. Accelerate and improve certification and employment attainment. MCCA MoManufacturingWINS from baselinemedia on Vimeo.